I would like to think that we all have good intentions, but truthfully some of us aren’t really aware of what our intentions are. Your intentions are the ultimate choice of improving your life. Think about it…If you have bad intentions, what does that symbolize? Greed, envy, hate, etc. Clearly, these are not the type of negative influences we want in our lives. Intentions are powerful and they tell others where our goals are heading. It is our sol purpose and our motive that helps us to achieve our objectives. Here’s something people struggle with: Learning what your intentions are or what your purpose is. If you want to figure out what your purpose is, you have to put in the effort. I know that sometimes it can be an overwhelming or tedious task and sometimes you will feel irritated, but as you continue to learn and discover, you will see that there is gold on the other side. The key factor in finding your intentions is discovery. 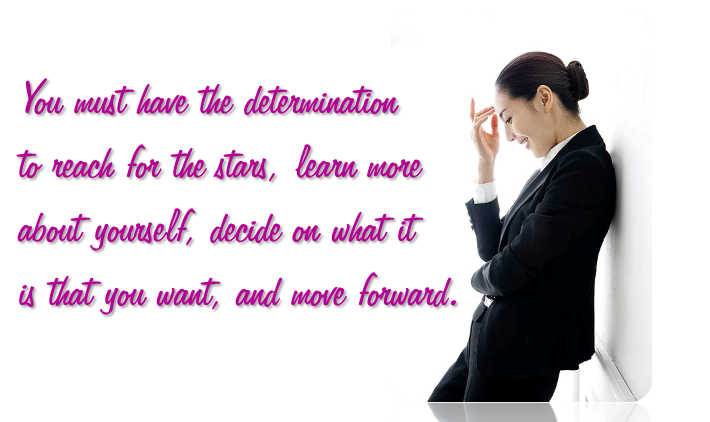 You must have the determination to reach for the stars, learn more about yourself, decide on what it is that you want and move forward. The best thing you can do for yourself is take action so that you can develop healthier thoughts, habits, and behaviors that lead you to success. It helps if you write down your intentions. There is power in the pen. Writing your intentions on paper, helps you to discover you. Many people do not like to write, and I can understand that. But sometimes we have to do things we don’t want to do if we want certain results. If you consider keeping a journal, you can look back later to see your growth. It will only take a few minutes out of your day to jot down your feelings, thoughts, ideas and experiences. For your interests, the first thing you need to do is sit down and think about what you want. Then make some decisions. Once you do that, you will need to write out a plan, set goals, and take action. Make moves to get what you want. Period. Accessing your strengths involves testing your abilities and skills. How can you use your skills and abilities to improve your personal life? When you start to discover and access your inner self, you can move to set your own standard of living. Whatever you do, do not live for others or according to what they want you to do; instead learn to live for you. Moving on, start exploring your vocation paths. Do you see yourself enjoying the job or work you do now? Do you see yourself working at the same company going nowhere? If you feel stuck, it’s time to check your options or create a way to better your situation. You can start by identifying what lights you up. When you discover what you want to do, then you can set up strategies and implementation to achieve those goals. Proceed with self-discovery and what options you have available. Pull up resources and make a list. Resources are the key that unlocks doors. Check your intentions. What is your ideal vocation path? Figure out a new career or status that will make you happy. Always follow through with your plans. Don’t give up. Evaluate, tweak, and revise if necessary. You always want to make sure you take action by recording your specific needs and wants. Look over the inner pictures you develop and listen to your intuition for improving your life. We all have that little inner voice that tells us when we do wrong. It’s called a conscious. You can train your conscious to live healthier. The other cutie inside us called instinct, is something we should re-establish and listen to. If you haven’t found out already, you WILL find that listening from within will help you make improvements in your life. I hope that you have set your intentions and you’re ready to make some discoveries in your life. What has you fired up this year? What changes do you intend to make? Do you need some personal assistance? I’d like to extend an offer for you to grab a spot for *FREE COACHING* in my Shift to Freedom™ program – it’s an 8 MONTH Business & Lifestyle Program designed to get you on a path to creating the life you want, – fast!